It's Veera here today to show you a traveler's notebook spread that was created without using any pattern paper. 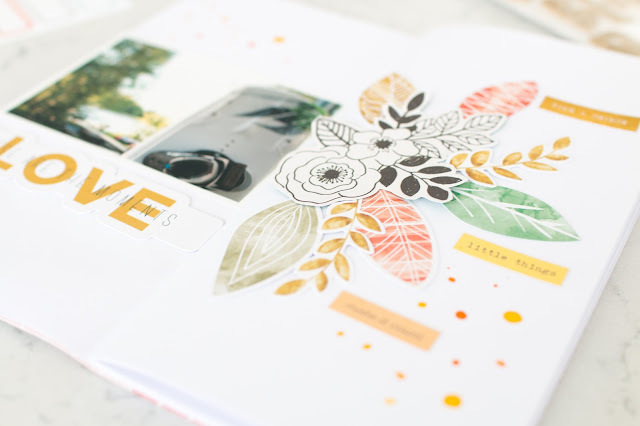 I really loved the different leaves from the Pinkfresh Studio die-cut pack and wanted to feature them in this spread. 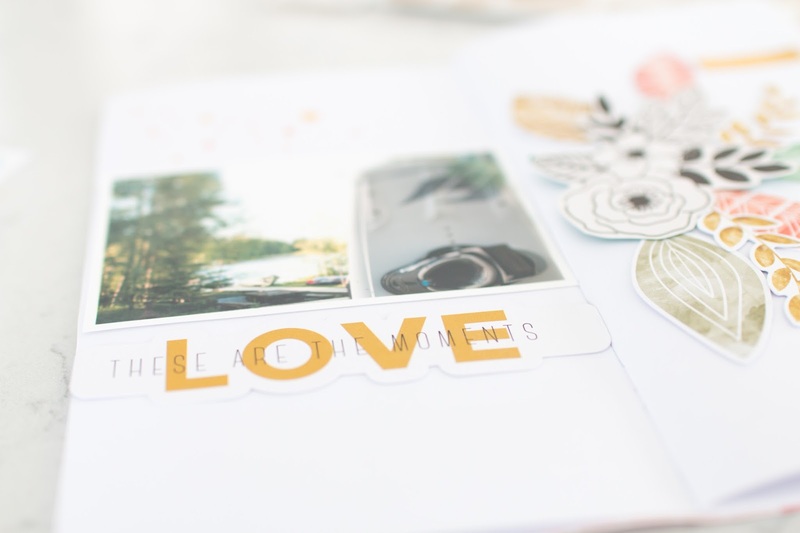 As the picture is wider, I wanted to create a large embellishment cluster to the right side of the spread. The embellishments beautifully repeats the colors from the picture creating a cohesive look. To finish off this spread I added three word stickers and paint splatters. 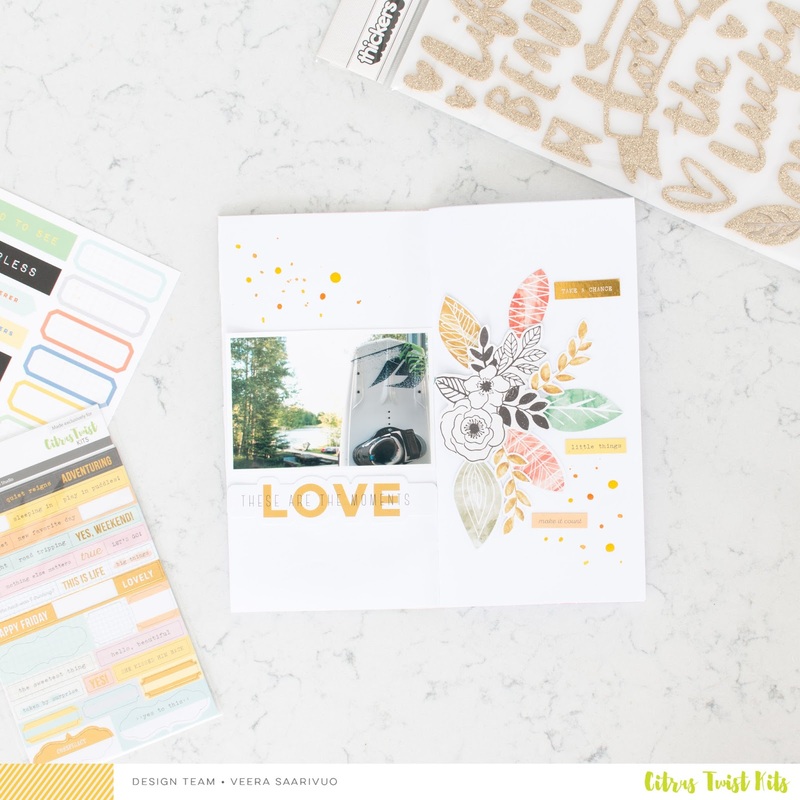 Have you created already with your September kits?